Ronnie Conlon is facing an extended period on the sidelines after being diagnosed with a ruptured anterior cruciate ligament. The 21-year-old suffered a knee injury in late October, but made a brief return to the first team. However, the knee appeared to give way under a challenge during our FA Trophy game with Merthyr Town, in which Ronnie was stretchered off. A subsequent scan of the injured knee has revealed a ruptured ACL, as well as other minor damage. Ronnie will see a specialist later this week, with a view to having the knee operated on this side of Christmas. Darren Freeman says Ronnie's injury is a cruel blow for a player who has made himself a first-team fixture and scored five goals this season. 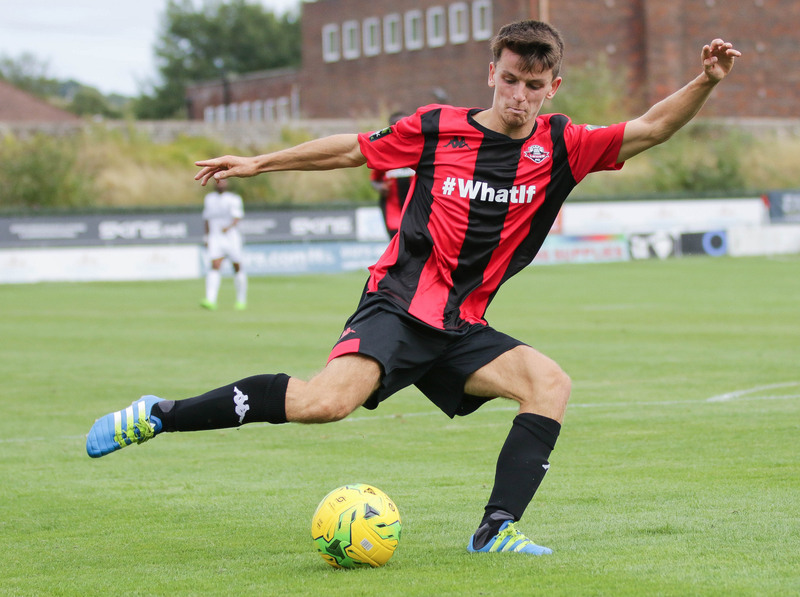 "It's a devastating blow for himself and Lewes FC. "Before I even joined the club, Ronnie was someone I really liked the look of. He's got better during my time with the club. He's taken on board the role we want him to play and he's been willing to learn. He is starting to show maturity in his game and bang in a few goals.Sometimes, we're not the same team without him." Darren, who suffered several serious injuries during his playing career, can sympathise with the youngster, but hopes to use his experience to help Ronnie get through the next few months and back into action. "You have to be mentally strong when you're injured," said the manager. "It's a test for Ronnie now. He has to come through it and as a club we will do all we can to help him." Everyone at the club sends Ronnie our very best wishes for a speedy recovery.